Dr. D.L. Maheswar is born on 1st May, 1955 in an Agriculture family of Kamagondanahalli Village in Tumkur district, Karnataka. He completed his Bachelor of Agriculture (1975), Master of Agriculture (1977), Ph.D. Horticulture (1981) degree from University of Agricultural Sciences, Bangalore and FRHS at the United Kingdom. Starting his career as an Instructor in the department of Horticulture, University of Agricultural Sciences, Bangalore in 1980, later joined the Horticulture Department, GOK, Bangalore and worked in different capacities as Senior Assistant Director of Horticulture (Marketing) Lalbagh, Bangalore, District Horticulture Officer, Mandya District, Deputy Director of Horticulture, Mysore Division, Deputy Director of Horticulture (Floriculture), Bangalore, Managing Director, HOPCOMS, Bangalore, Executive Director, National Horticulture Mission, Bangalore, Managing Director, Karnataka State Co-operative Horticulture Marketing Federation, Bangalore, Additional Director of Horticulture (Oil palm Project) Lalbagh, Bangalore and rose to the position of Director of Horticulture, Lalbagh Bangalore in 2013. In a long span of 34 years, Dr. D.L. Maheswar served as teacher, researcher and a development consultant specializing in Horticulture. He has to his credit over 10 research papers published in reputed journals, 7 extension articles and 9 books and bulletins. Dr. Maheswar has developed and promoted new variety of oil plam TARAKA and it has occupied more than 10,000 hectares in Karnataka. He has completed 15 research projects funded from different agencies including international and national Collaborative Projects. He has visited Nepal, Srilanka, Malaysia, Thailand, Israel and China. He was responsible for establishment of centre of excellence for oil palm at Bheemanakolli in H.D. Kote block of Mysore District for the first time in the Country. Under his stewardship, Horticulture Department, GOK achieved record production of oil palm at 28 MT/ha in young plantation in Belgaum District and 58 MT/ha in matured plantation in Mysore District. As Managing Director, HOPCOMS, introduced market intervention schemes (MIS) for procurement and marketing of potato and onion for the first time in the state including computerisation in transactions. Dr. D.L. Maheswar has been serving as a member of statutory board/societies of Karantaka State Horticulture Mission Agency (KSHMA), National Mission on Micro Irrigation (NMMI), National Mission on Medicinal Plants Board (NMPB), Small Farmers Agri-business Consortium (SFAC), Suvarna Karnataka Udyana Parishath (SKUP), University of Horticultural Sciences, KAPPEC, Food Karnataka Limited (FKL), Karnataka State Wine Board, Karnataka State Co-operative Horticulture Marketing Federation (KHF), HOPCOMS, Bangalore, Karantaka State Mango Development Co-operation (KSMDC), Institution Management Committee, Directorate of Oilpalm Research, Pedavagi, Karnataka State Seed Certificate Agency, National Mission on Food Processing Executive Committee, Karnataka State Horticulture Development Agency, Karnataka State Spices Board, Mysore Horticulture Society (MHS), Co-operative Societies (HOPCOMS & KHF). He has been the recipient of many prestigious awards and distinctions. Business and Economic Society for Trade, New Delhi has recognized the yeomen service by presenting the Sarvshreshth Udyog Puraskar Award in 1997 and he is also the recipient of prestigious International Excellence Award for horticultural promotion in Karnataka through HOPCOMS for productivity, quality and innovativeness at Kathmandu, Nepal on 24/01/1996. Dr. D.L. 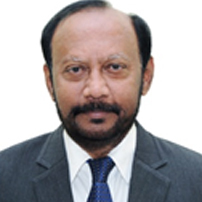 Maheswar assumed the post of Second Vice-Chancellor of University of Horticultural Sciences, Bagalkot on 28th June, 2014.